Perfect for fans of Naomi Alderman’s The Power and Margot Lee Shetterly’s Hidden Figurescomes The Psychology of Time Travel, a mind-bending, time-travel debut. In 1967, four female scientists worked together to build the world’s first time machine. But just as they are about to debut their creation, one of them suffers a breakdown, putting the whole project—and future of time travel—in jeopardy. To protect their invention, one member is exiled from the team—erasing her contributions from history. 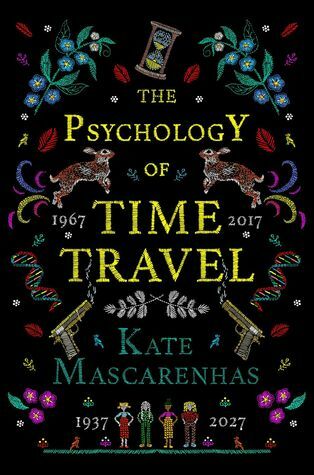 The Psychology of Time Travel by Kate Mascarenhas is a science fiction fantasy that is a bit like the story of Hidden Figures. In this book instead of the ladies that worked on the space program we have a fantasy read with four ladies that worked to create time travel. The story begins in 1967 with the four ladies working to invent time travel, each with their own specialty. After successful animal trials things move forward for them to begin working with human travel. Unfortunately, one of the woman in the program suffers side effects from the program and is pushed out of the program. In the present time we meet Ruby who is the granddaughter of that original member who left the program. When her grandmother, Barbara (Granny Bee), receives a note from fifty years in the future it seems there will be a murder of an unknown woman with time travel being at it´s peak in that time. I will admit first that The Psychology of Time Travel isn´t the easiest of books to follow along with as it bounces from time to time and character to character. However, I do think this one is worth the extra time to read having new and interesting ideas with time travel. Instead of being a book that focuses on what era is being visited this one focuses on these characters and the effects of travel and still kept the pages turning and my interest to see what would happen especially with a bit of mystery, certainly a nice read overall. Kate Mascarenhas is a half-Irish, half-Seychellois midlander. Since 2017, Kate has been a chartered psychologist. 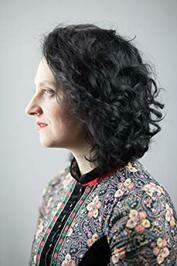 Before that she worked as a copywriter, a dollhouse maker, and a bookbinder. She lives with her husband in a small terraced house which she is slowly filling with Sindy dolls. This is her first novel. Good review, I bought this the other day – not sure when I will get round to it but I do think it looks good. I’ve been wondering about this one! The cover is stunning. I need to read this soon! I’ve had it sitting on my counter for months. This one blew me away! I agree, it was hard to follow for the first part, but I love how everything wove together perfectly by the end!